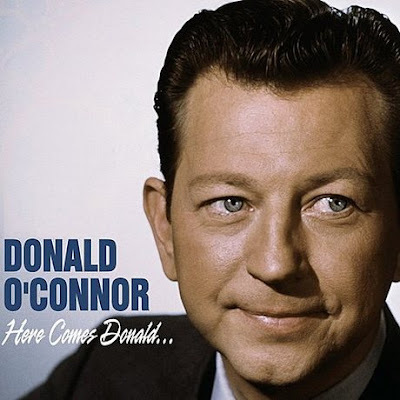 Donald David Dixon Ronald O’Connor (August 28, 1925 – September 27, 2003) was one of the most likeable and nimble of all Hollywood’s song-and-dance-men, who retained his youthful looks and casual charm throughout a career spanning well over 50 years. Perhaps his most famous performance was as Gene Kelly's sidekick in the musical Singin’ in the Rain (1952). Though he considered Danville, Illinois to be his hometown, O’Connor was born in St. Elizabeth Hospital in Chicago. His parents, Effie Irene (née Crane) and John Edward "Chuck" O'Connor, were vaudeville entertainers. His father's family was from County Cork, Ireland. When O'Connor was only a few years old, he and his sister Arlene were in a car crash outside a theatre in Hartford, Connecticut; O'Connor survived, but his sister was killed. 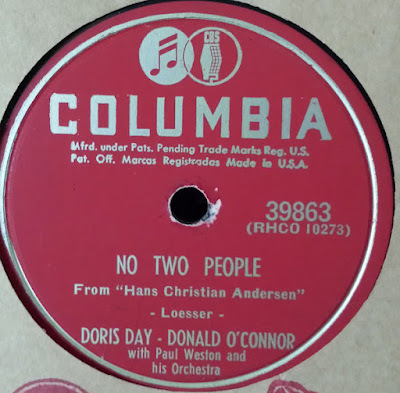 Several weeks later, his father died of a heart attack while dancing on stage in Brockton, Massachusetts O'Connor at the time was being held in the arms of the theatre manager, Mr. Morris Sims. On his 18th birthday in August 1943, during World War II O'Connor was drafted into the United States Army. Before he reported for induction on Feb. 6, 1944, Universal already had four O’Connor films completed. They rushed production to complete three more by that date. With a backlog of seven features, deferred openings kept O’Connor’s screen presence uninterrupted during the two years he was overseas. Upon his return, a merger in 1946 had reorganized the studio as Universal-International. 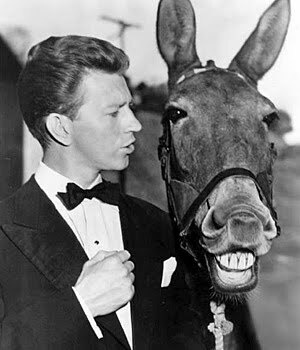 In 1949, he played the lead role in Francis, the story of a soldier befriended by a talking mule. The film was a huge success. As a consequence, his musical career was constantly interrupted by production of one Francis film per year until 1955. O'Connor later said the films "were fun to make. Actually, they were quite challenging. I had to play straight in order to convince the audience that the mule could talk." In 1952 O'Connor signed a three-picture deal with Paramount. It was because of the Francis series that O'Connor missed playing Bing Crosby's partner in White Christmas. O'Connor was unavailable because he contracted an illness transmitted by the mule, and was replaced in the film by Danny Kaye. O'Connor's role as Cosmo the piano player in Singin' in the Rain earned him a Golden Globe Award for Best Performance by an Actor in a Comedy or Musical. The film featured his memorable rendition of "Make 'Em Laugh". O'Connor said he smoked 4 packs of cigarettes a day during filming. 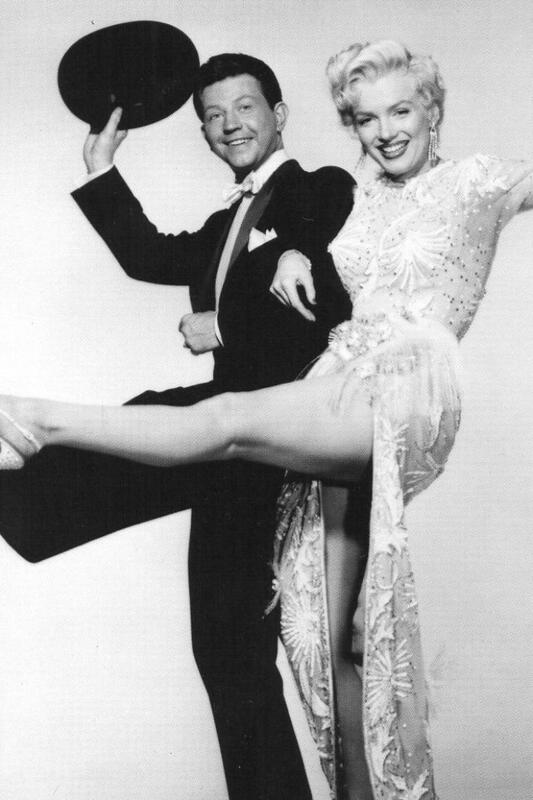 Another notable role was as Tim Donahue in the 20th Century Fox musical There's No Business Like Show Business (1954), which featured Irving Berlin's music and also starred with Ethel Merman, Marilyn Monroe, Dan Dailey, Mitzi Gaynor and Johnnie Ray. O'Connor was a regular host of NBC's Colgate Comedy Hour. He hosted a colour television special on NBC in 1957, one of the earliest colour programs to be preserved on a colour kinescope. 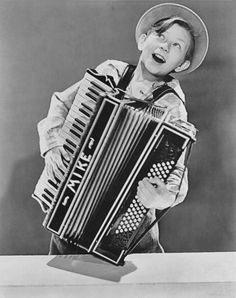 In 1954, he starred in his own television series, The Donald O'Connor Show on NBC. 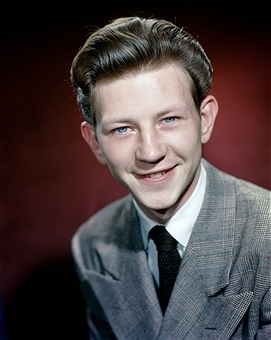 In 1968, O'Connor hosted a syndicated talk show also called The Donald O'Connor Show. He suffered a heart attack in 1971. Broadway in 1981 and continued to make film and television appearances into the 1990s, including the Robin Williams film Toys as the president of a toy-making company. He had guest roles in 1996 in a pair of popular TV comedy series, The Nanny and Frasier. O'Connor had undergone quadruple heart bypass surgery in 1990, and he nearly died from double pneumonia in January 1998. 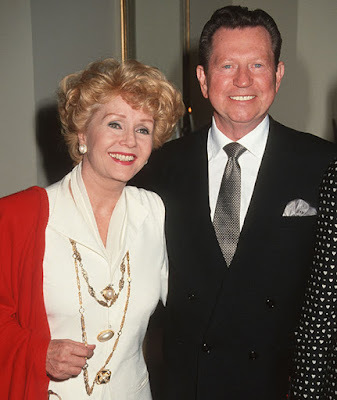 Donald O’Connor died from complications of heart failure on September 27, 2003, at age 78 at the Motion Picture & Television Country House and Hospital, in Woodland Hills, California. His remains were cremated and buried at the Forest Lawn–Hollywood Hills Cemetery in Los Angeles. Here’s a compilation I found on iTunes of mainly film soundtracks from Donald’s movies. I’ve added the last 4 songs as bonus tracks from my own collection. Great post Bob. You never cease to amaze.